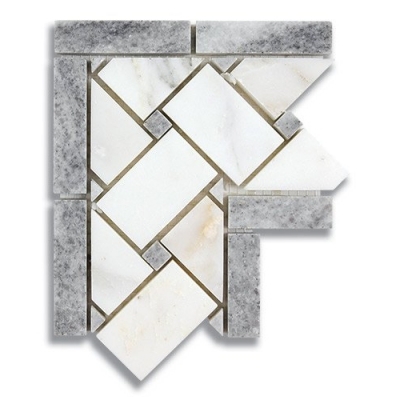 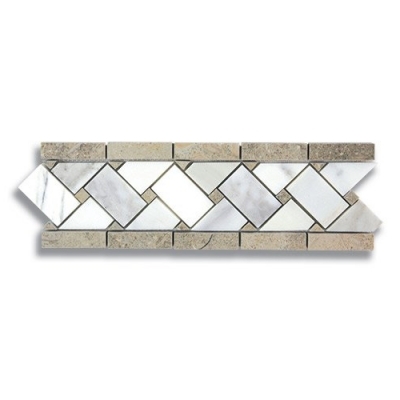 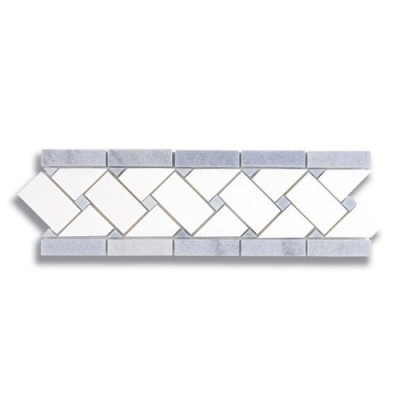 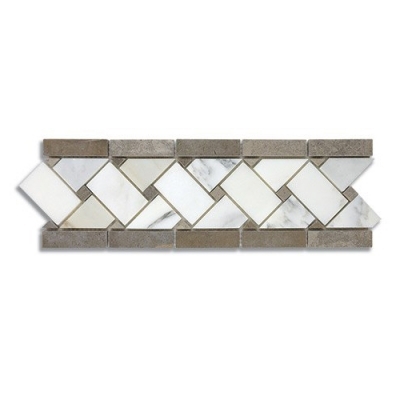 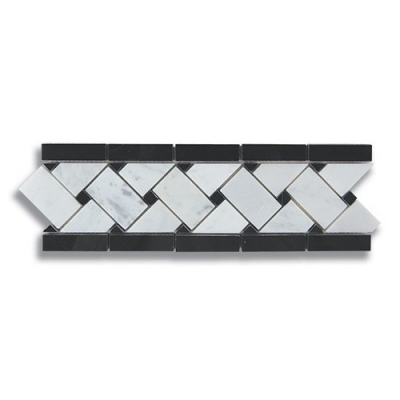 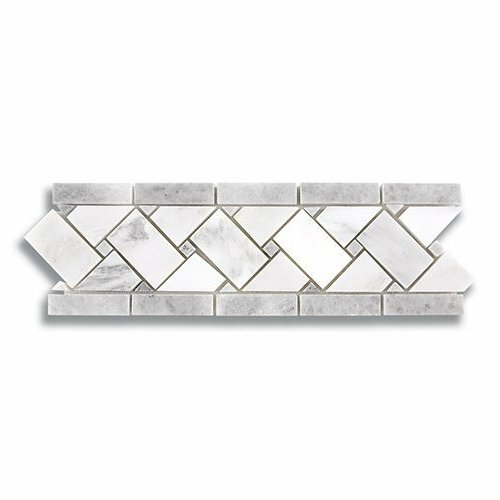 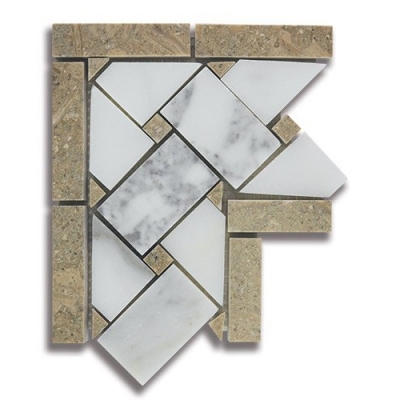 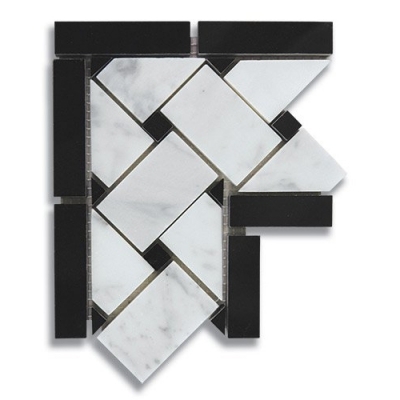 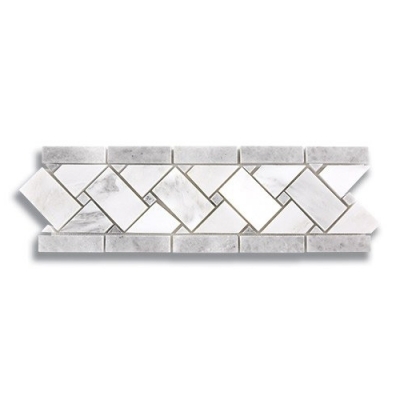 Purchase 3 3/4" x 11 3/4" Grey, White color Marble Natural Stone Mosaic Tile with Basket Weave shape and Honed finish. Discover AKDO Tile mosaic collection. 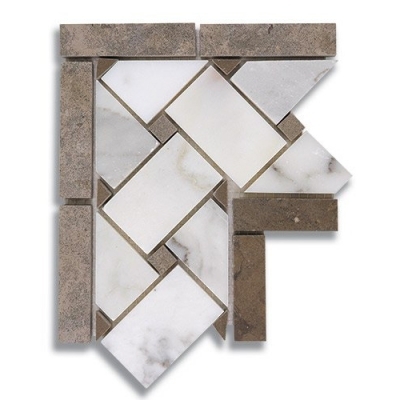 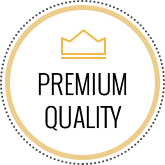 3 3/4" x 11 3/4"